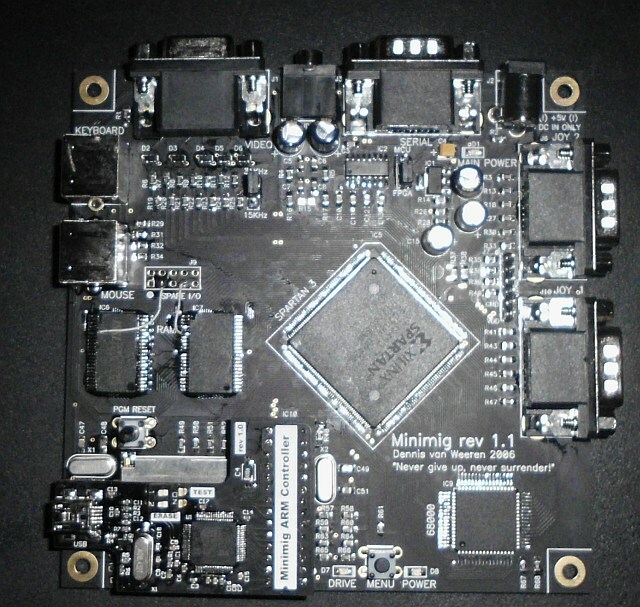 4MB-Version,V1.1-Board w/2 additional RAM-chips soldered to the regular ones, connecting their CS-lines to the spare I/O-pins. Hi Res version, 4MB-Version,V1.1-Board w/2 additional RAM-chips soldered to the regular ones, connecting their CS-lines to the spare I/O-pins. Self-assembled Minimig V1.1 with ARM-Controller and 4 MB RAM. 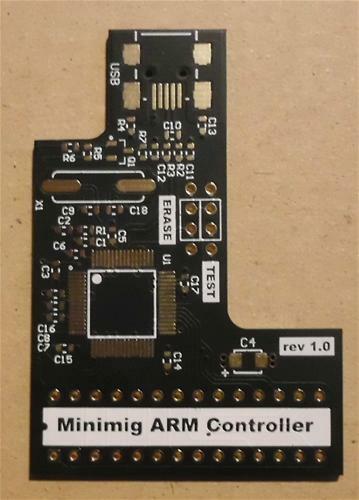 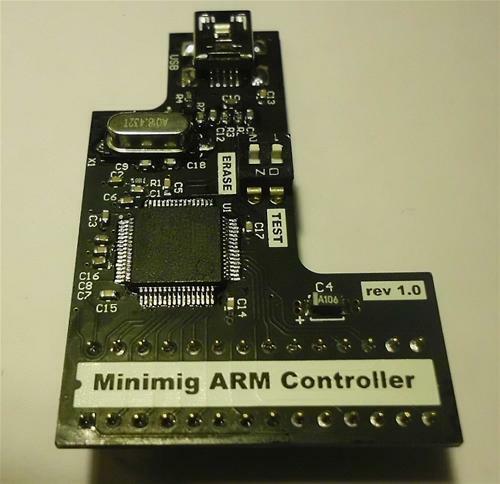 A1K.org group purchase of minimig and ARM-Controller PCB's, organized by user jdb78 and AmigaGTI. 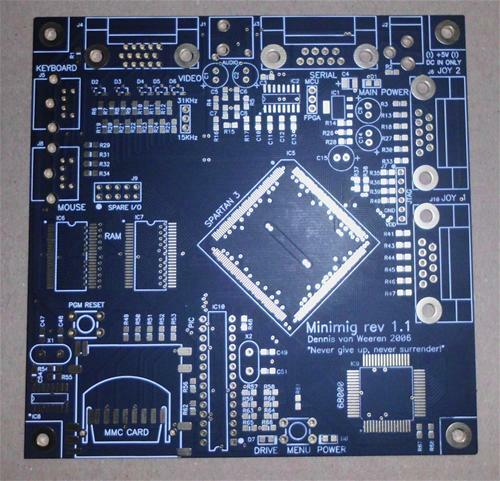 Pace17881 and halbvier organized the grouped purchase of the parts. 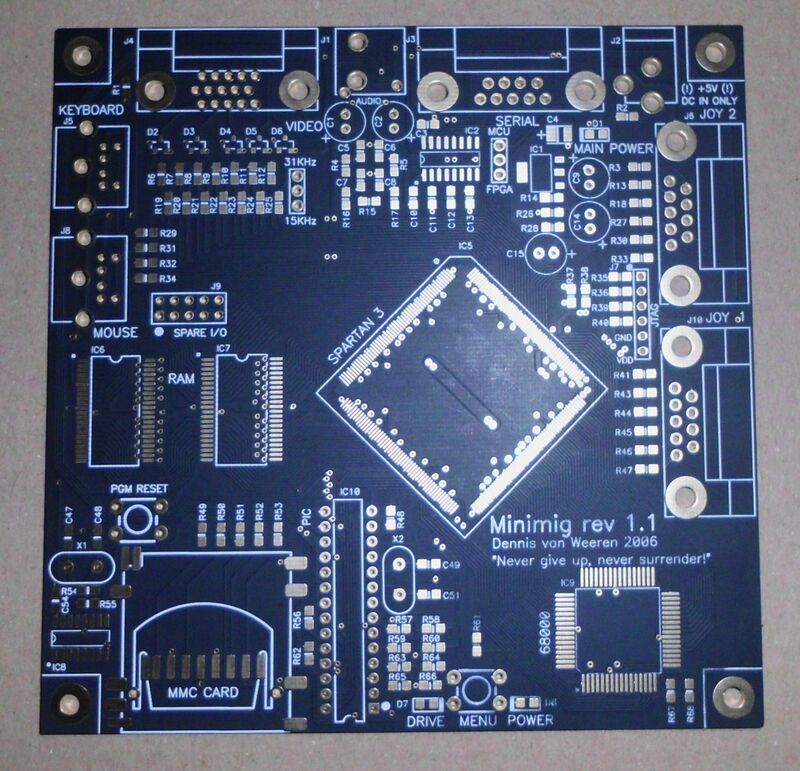 The pictures are showing the 4MB-Version of the Minimig V1.1-Board, where 2 additional RAM-chips were soldered onto the regular ones and connecting their CS-lines to the spare I/O-pins on the board.